Photographic software has changed a lot in the last few years. It used to be a closed system – mainly a camera and a desktop computer. These days, there’s a huge choice of additional software, multiple computers, laptop, tablets, and phones involved. Photographers are having to cobble together their own workflow solutions, using a variety of different apps like Dropbox, Flickr, and SmugMug. Adobe want to solve that issue, and focus on a solution that extends beyond the desktop. The new Smart Previews included in Lightroom 5 beta are just a start. Those Smart Previews are tiny in comparison to the original raw files – Tom said they’re 2-4% of the original raw file size. Imagine pushing those to the cloud, and those photos seamlessly appearing on your other devices – computers, tablets and phones. Adobe Revel started exploring that workflow, but it’s limited to JPEGs. Imagine being able to select and rate your photos on your phone while you’re sat on the train or lounging in front of the TV. Imagine being able to edit your raw photos on your tablet using exactly the same Devleop module sliders as Lightroom… and then when you get back to your Lightroom catalog, all of the changes are there waiting for you. It’s already in progress. It’s some way from shipping yet, but Tom showed a working demo on his iPad. Adobe are looking for feedback. They want to know what you want to be able to do on your tablet, and how you think it should work. They then went on to talk about the Creative Cloud. Technology’s moving faster and faster, and waiting 18-24 months for a software update is an eternity in computing terms. As a subscriber – either to the Creative Cloud or just Photoshop alone – you get access to updates to new features as soon as they’re available. 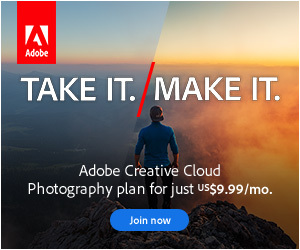 At $50 a month, the Creative Cloud’s a brilliant deal for users who need multiple programs, but if you’re a photographer, not so much… But did you realise you can subscribe to Photoshop alone? 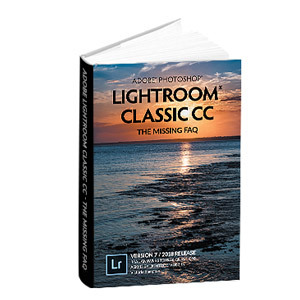 It’s just $19.95 a month, and it has to be one of Adobe’s best kept secrets! But Tom went further. They want feedback. What do YOU want as a photographer? Do you want your own Photographer’s Cloud? What would you like to see included? Lightroom? Photoshop? The new tablet/cloud offering? Anything else? And what would you consider a fair subscription price for that service? Now’s the chance to have your say. You can catch Tom on Twitter as @LR_Tom, on the Facebook Lightroom page, or you can leave your comments on this blog post and I’ll make sure they’re forwarded on to him. This is interesting. I really like the idea of being able to do the initial edit of my photos on my ipad when heading back to the office as I often travel by train. It would need to be FAST loading previews though so can make sure images are sharp while doing a quick edit.